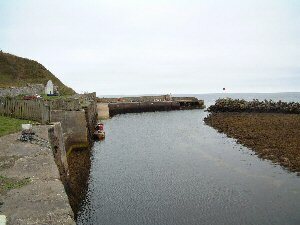 Dunbeath harbour was built about 1800 and in 1814 had 155 boats fishing for herring. At one time ice was cut in the river in winter and stored in the ice house at the harbour. As a fishing village Dunbeath's importance declined as small fishing boats became less profitable. Some small boats still use the harbour, mainly for creel fishing.